Apple fans are like Australians: for them, Christmas is something that happens in the summertime. June means WWDC 2012, Apple's annual developers' conference, and it means shiny new kit and exciting new software - and just like the real Christmas, it can also mean a lingering sense of disappointment when you realise that Santa Cook didn't bring everything you asked for. This year's show was a particularly mixed bunch, providing ammunition for Apple fans and enemies alike. The WWDC announcement that will affect the most people is iOS 6, the forthcoming upgrade to Apple's mobile OS. Most of the changes are evolutionary, but the big news is that Google Maps is getting the boot: instead, Apple's come up with its own Maps app. Our fears that Apple's Maps would be a US-centric service that doesn't know Britain exists were set to rest almost immediately when it emerged that the mapping data comes from TomTom, which uses its own rather fine TeleAtlas maps data. Google Maps isn't the only thing getting the chop: the ill-starred musical social network Ping is going too. That's largely because, with Facebook integration coming to iOS and Twitter integration already built in, Ping's pointless. 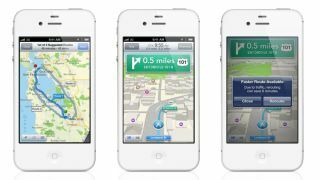 While iOS is very good, it's also going to deliver different experiences on different devices, so for example while iOS supports the iPhone 3GS some key features, such as the new Maps app's Flyover view, aren't available. Apple has also said that it won't make iOS available for the original iPad, which means it's effectively mothballing the device after just two years. Clever people on Twitter say that the reason is the original iPad's comparatively crappy 256MB of on-board RAM, but it's still a shockingly short lifespan for what was a pretty pricey bit of kit. Could the new MacBook Pro have a limited lifespan too? The next-generation MacBook Pro is a genuinely beautiful and groundbreaking computer that looks like an iPad with a keyboard stuck on it. Like the iPad the new generation MacBook Pro has a retina display, and like the iPad you can't really upgrade it: the RAM isn't expandable and the battery isn't removable. It's pricey, too, with a top-end 2.6GHz model costing £2,299 before you get happy with the options list. Still, you can spec it with 16GB of RAM and a 768GB solid-state drive; add some AppleCare and you're close to cracking £3,500. As commenter Bradavon put it: "The prices are absurd, but so is the spec... these certainly aren't intended to be mass market laptops." Jeremy Laird says that even if you have no interest in MacBook Pros, what Apple's done is good news for PC buyers: "It was Apple's use of high quality IPS displays in its iPhone and iPad gadgets that had sparked a trend towards better LCD panels for PC monitors and laptop systems. So, you might assume a similar process could see a resolution war among laptop and PC screen makers." We hope so: compared to retina displays, normal screens look rotten.